Greetings from Moorhead, Minn. Great pictures. 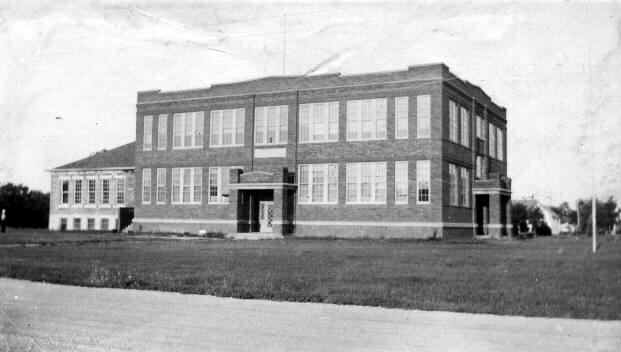 I went to the Newfolden Elementary School in 1974 (kindergarten) and to MCC in 1981-82 for grades 7 and 8. I saw one picture of my dad's uncle Andrew Tobiason in your group. I'm wondering if you have any other pictures of my family in there. Possible people: My grandparents, Lawrence and Evelyn Haglund (lived mainly in Holt from 1930s to 1960s). Evelyn's brother was Lawrence Tobiason, born in 1901. Their father and mother were Theodore Andrew Tobiason (died 1944) and Ida "Ada" Miller Tobiason (died 193 . My great-grandmother Anna Haglund, born in Sweden in 1866, lived in Holt from 1910s to 1946. If you have any photos of them, it was would a great discovery. p.s. My dad, John Haglund, graduated Newfolden H.S. in 1959. Was on football, basketball, baseball teams. He lives in Baudette, Minn., now.